Do you have a guitar that feels like "home"? Discussion in 'Guitars in General' started by MichaelSaulnier, Apr 23, 2016. Most of us have played a lot of guitars over the years. Most feel ok when you pick them up to play, some feel horrible, and every once in a while you find a great one. One that just feels "right"... neck shape, frets, setup, ergonomics, weight... the whole package. Which one was it for you? The three I have now fit exactly into this feeling. But of the three....my J Custom with the maple neck really does this for me. It's like a comfortable pair of shoes that you have worn for a long time. I have two that are totally different, but both just feel right. (Home and a vacation home?) I'm saddened that my third electric (my nicest) doesn't hit that spot for me. Hector Arcadius, e?? ?, Marris Otter and 1 other person like this. I now have 3. 3 years since I traded for the most recent one (the T), will soon be 4 since I traded for the one before that (The amazing Hollow Atom CT), and will be 10 years since I got my number 1 (the Crowdster). They are all pure joy, and I got rid of everything else. They are home. For me this 'special' feeling is more a case of recent familiarity. 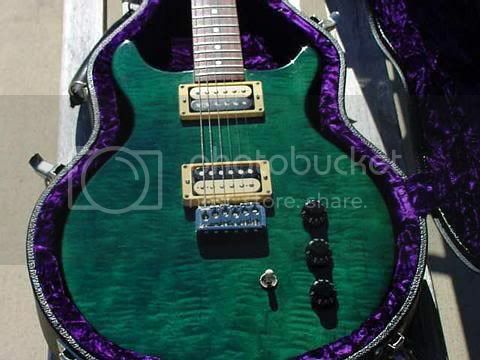 For many years my only electric was a Stratocaster but in the mid 90's I bought a Les Paul and later a PRS. I played in 2-3 bands with another guitar player who always played a Strat so during that period I played one of my humbucker equipped guitars to have a different sound than the other guy. When I went back to pull the Strat out of the case I had to once again go through an adjustment period to the different neck and different scale even though for many years it had been my main guitar. shane8, PBGas and monty like this. I just was thinking about this when I saw this thread. 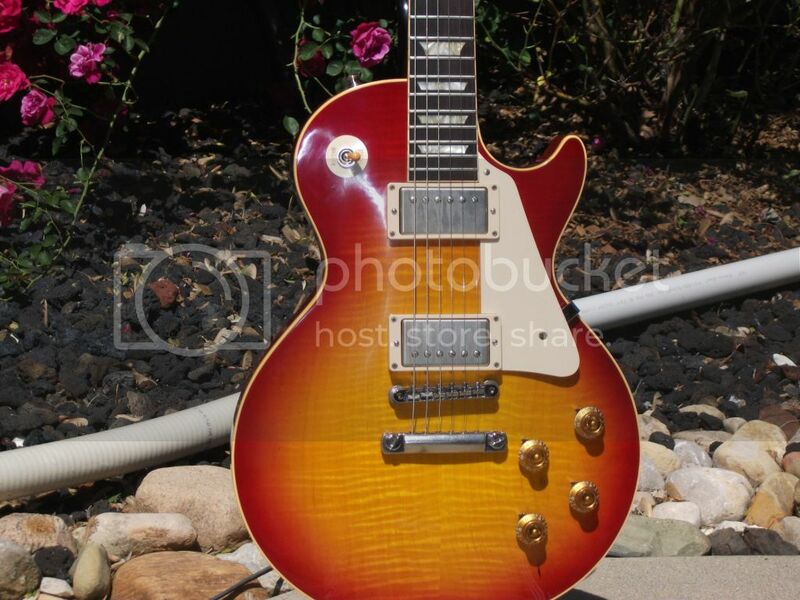 Mine is a 60's Tribute Les Paul Studio with P90s. I dislike the way it looks and it has really cheap electronics, but it fits me perfectly and is the one I'm saving if my house catches on fire. I talk with my nephew about this very subject a lot. For me if we're talking about 1 specific guitar, home is my '02 LP Standard 50's neck. 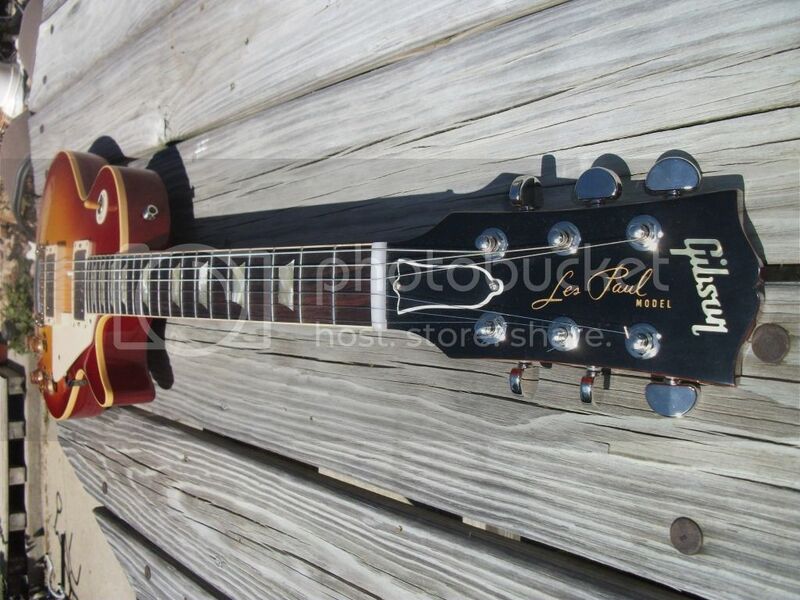 In general Gibson Les Pauls. It came up when I was helping him find his 1st electric. He was trying to decide between some PRS variant or a Les Paul variant. He was going through a mental block with not wanting to play in a music store. I think we've all been there. So I played the PRSes, which were very nice, sounded very nice etc. Slimmer neck which I'm not a fan of. I wouldn't kick it out of bed, but still not for me. Then I tried the different Les Pauls. I think the first thing I said to him was "aah, this is home for me". In the end for him PRS is home. He now has a pretty nice arsenal of PRSes. I regularly play his, and enjoy them. But when I plug in my LP I'm back home. 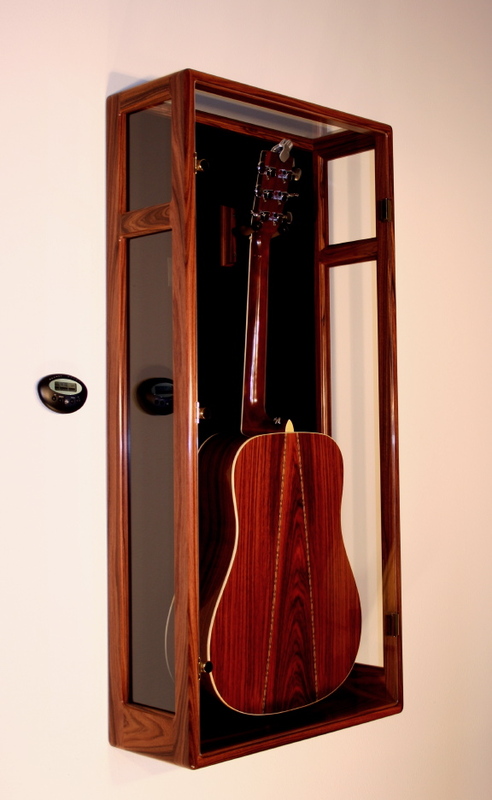 My high school sweetheart is this '70 Brazilian Rosewood D-35 (knock off) hand made in Spain. She taught me to play and I am forever in her debt. She is my most comfortable guitar, for obvious reasons. Time anneals a bond. 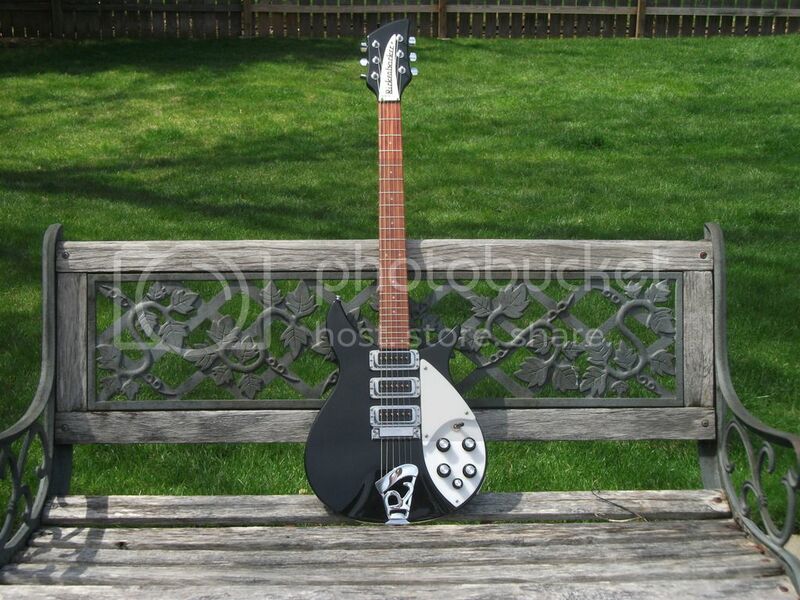 Evetry other guitar I have acquired since this one is much better in many ways, but no where nearly as familiar. eigentone, teleman1 and enharmonic like this. My first Valley Arts Larry Carlton Signature model is the guitar I've had the longest, and always feels instantly like "home" from the moment I pick it up. I have two others of the same exact model, but this is the one with the most miles on it, and it just feels more comfortable for that very reason. My '06 PRS Cu24 AP. I think it's a combination of the great 'standard' neck shape (or is it called 'regular'? I forget), the easy PRS playability, and having 24 frets with a 25" scale length that makes it so immediately easy to hit all the marks. I have others with a full range of configurations that I play well once adjusted, but with this one it's always immediate. Peavey Firenze circa 1999. D'oh! Stop lol. Stop now. After 10 yrs, a pro set-up...wow. 15" r, chubby profile, recessed bridge and stop. I've owned over 350 guitars, many hi-end/boutique/custom shop models, over the years, but since 2008 my cheap ESP Ltd relic strat style GL256 has been my go to. It's warm and raw wood with almost no finish and feels like an old perfect pair of worn jeans. I've played about 1200 or so shows with it, and it's like an old friend. Here's a silly old live video from Country Jam 09 near Grand Junction, CO.
57Strat777, Mrgreggb and superstratjunky like this. I have a few like that.. '81 Hamer Special, '91 EBMM EVH, '95 Rickenbacker 350, '10 Les Paul R9.. 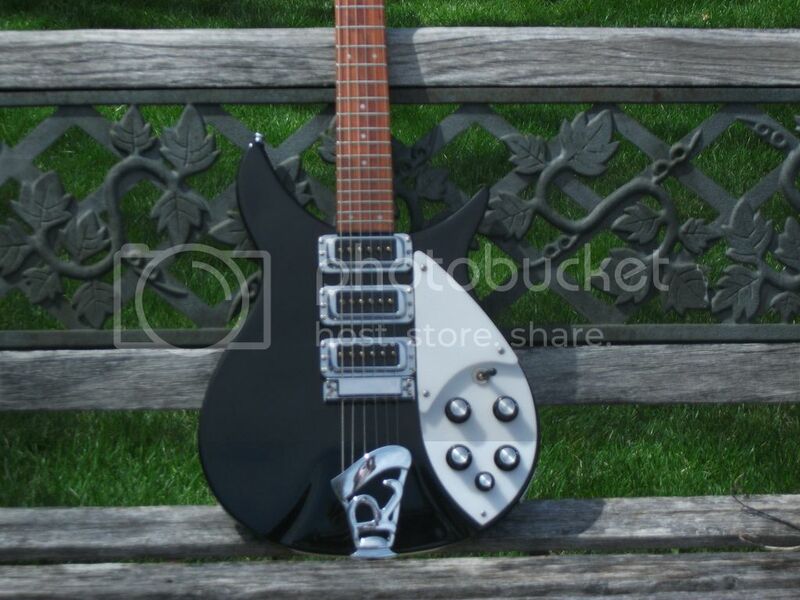 Although all the necks are "different", except for the Hamer and the Rickenbacker, they are very similar, but still they all feel like they were made just for me.. They all fit like a "Glove".. And the EBMM EVH neck feels like, at least to me, a "mini" version of the Les Paul R9 neck..
richey88, tommygunn1986, Waylander and 2 others like this. 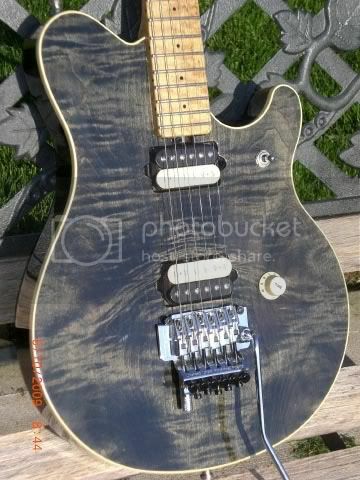 I have a few like that.. '81 Hamer Special, '91 EBMM EVH, '95 Rickenbacker 350, '10 Les Paul R9.. They all feel like they were made just for me.. They all fit like a "Glove".. 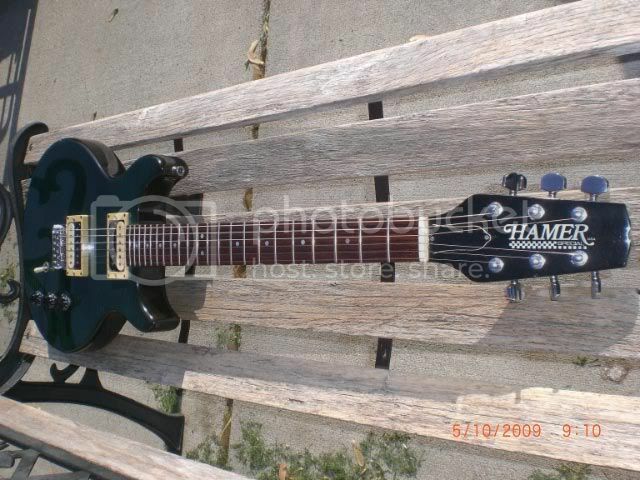 OMG!,...I use to own a Hamer Special in that exact same finish about 20 years ago or so! I think it was an`81 as well. That's a rare color, I believe the official name of it with Forest Green. Yours is the only other one I've seen in that color. Hold on to that baby! custom53 and buddaman71 like this. I've got an old D-28 we ordered new 30+ years ago. It feels like an old, broken in pair of jeans. Every ding and mark holds a memory. JPIndustrie and buddaman71 like this. 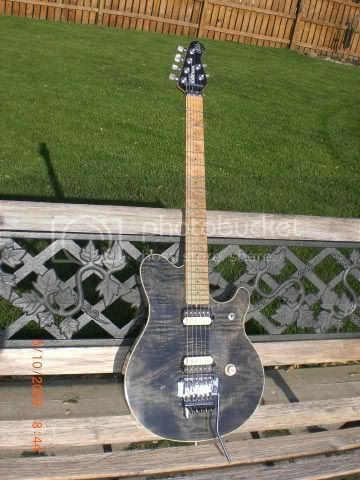 <==Probably my Epi Dot with Duncan pickups. Can't get a bad tone out of it and, yes, it's like an old jean jacket that I've had forever. 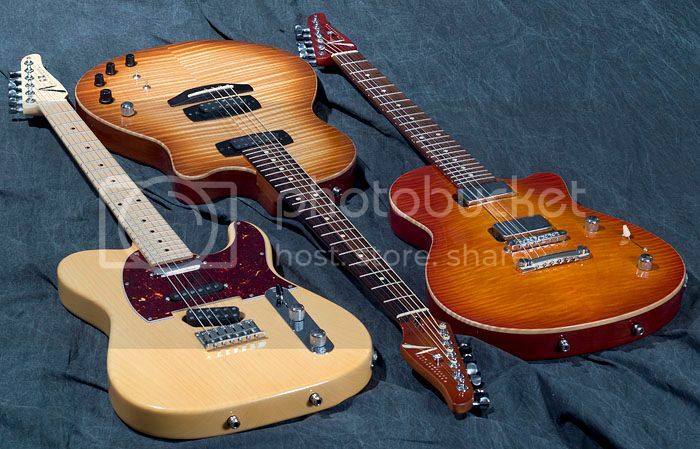 Honourable mention to my SG, Tele and Jetstream though ! Waylander and buddaman71 like this.